Please go directly to each bootcamp’s dedicated page or read short summaries on each bootcamp below. Bootcamps are intensive sessions that are 3 to 7 days long. 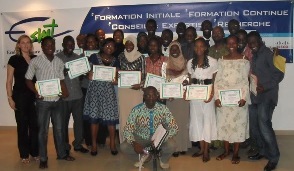 5 apps developed, 19 students (4 girls) from 2nd and 3rd year of university attended. For more information, please see the dedicated page on this bootcamp. For more information, please see the dedicated page on this bootcamp. 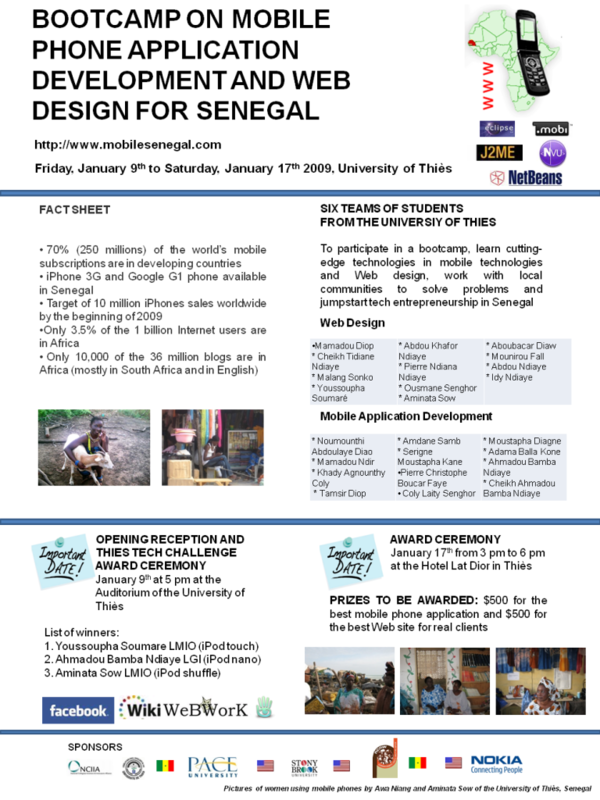 A bootcamp on Mobile and Web Design for Senegal was organized in Thiès for 24 students of Université de Thiès in January 2010 (3/1/2010 – 1/9/2010). After the bootcamp, the students worked on improving their applications to distribute them to students at the university and to submit them to the Nokia Calling All Innovators Competition. 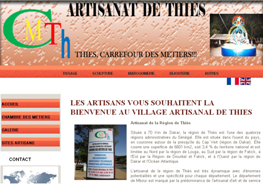 The Web sites were also finalized and delivered to their beneficiaries – the Regional Museum of Thies (http://www.museedethies.com) and the Artisan Village of Thies (http://artisanatthies.com). 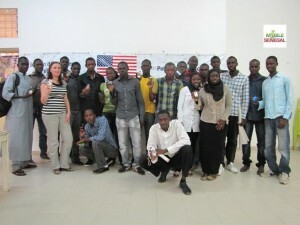 One of the website projects (websites for computer science professors of Senegal) was canceled. 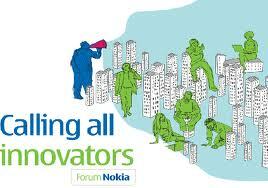 Nokia Calling All Innovators: 3 mobile applications were submitted to the Nokia Calling All Innovators Competition in June 2010. 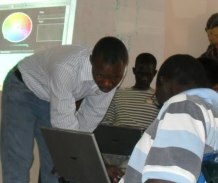 Delivery of the Web sites: The Web sites of the Regional Museum of Thiès and the Artisan Village of Thiès were delivered to their beneficiaries in July 2010. Special thanks to Chun Hei Cheung for his help with the English translation of the websites.